I’m married to a developer. I’ve learned never to ask the question, so when will the project be finished? That said, Element Urban Village has come together like a dream and it’s hard to believe how close it all is to completion. As the spring puts a fever in our step, canoes on the river, and green in the trees, so too is Element coming to life with a brand new Show Suite ready to explore. As with all our projects, we spent a lot of time during the design process of Element discussing the day-to-day lifestyles of people who would live there. How would they use the space? Where would they enjoy morning coffee? Who would assemble for wine around that marble island in the kitchen? Now it's up to you to see how all those conversations and decisions that kept us up late at night resulted in a space that works, flows, and just feels right. See for yourself why we're so jazzed about that river view. When it came time to stage the Show Suite, designer Crystal Bueckert paid meticulous attention to the furnishings that would become the icing on the cake, collaborating with Area and local designer/furniture maker James Hopper. The work of local artists Jan Corcoran, Ben Hettinga and Martin Bennett are featured throughout the suite. We even got Escape Sports to hang the most beautiful paddle board we’ve ever seen on the wall—as if our visitors might need reminding of what life on the river might feel like. At Shift Development, we believe in taking time to connect with our community and celebrate successes along the way. So the minute we put away the hammers and drills and hung the last painting in the living room, we opened the doors to family and friends to come experience the space, tell us what they thought, and enjoy some of Riversdale’s finest culinary offerings. 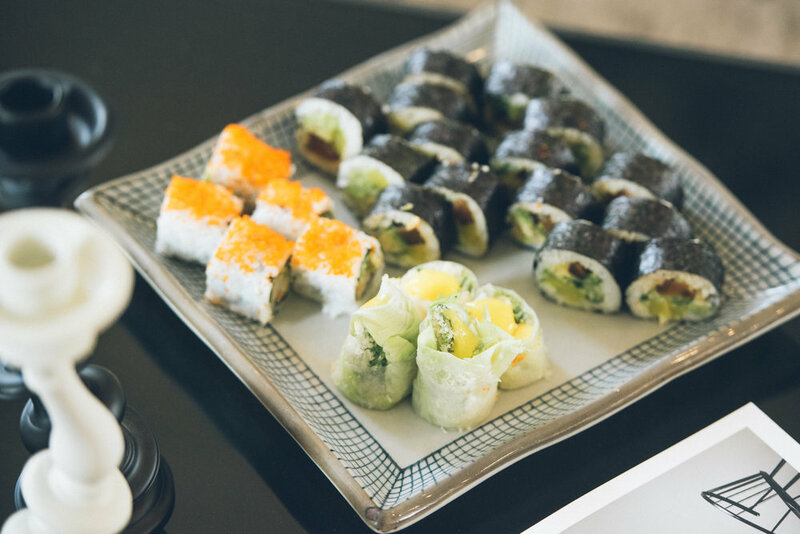 Our friends at The Odd Couple and The Grazing Goat put together some of our favourite appetizers, reminding our visitors that these haunts are literally steps away. 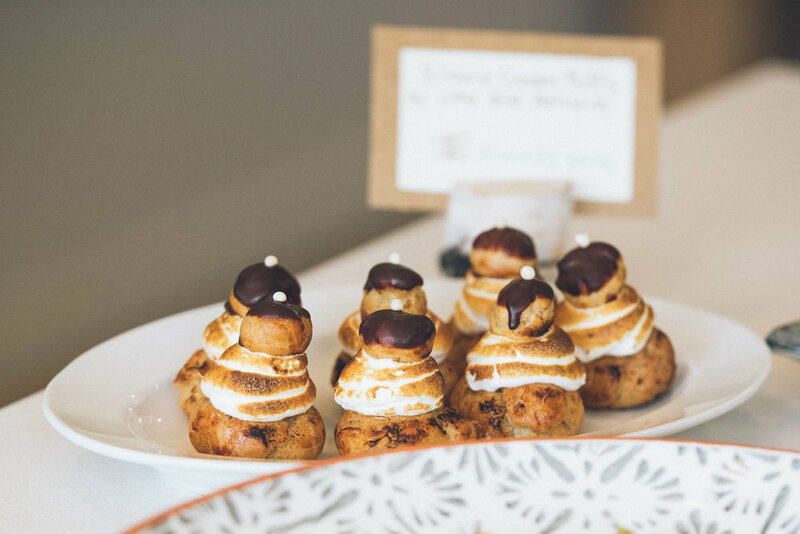 Little Bird Patisserie provided delectable S'More Cream Puffs. 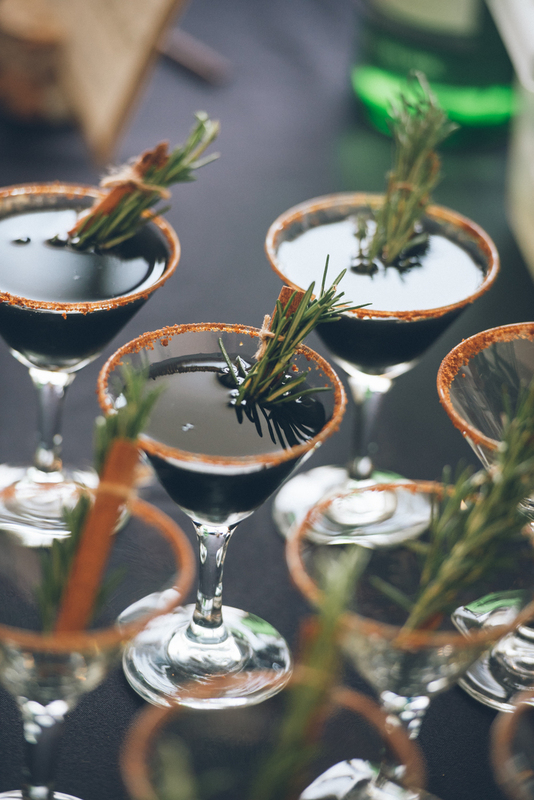 And Thrive Juice Co. put together a special “Element” martini inspired by the five elements, with cayenne (fire), cinnamon (wood), activated charcoal (metal), water (um…water), and rosemary (earth). It got rave reviews. Another of our favourite features of life in Riversdale—Collective coffee—donated some drinks and coffee beans as parting gifts. We’re sure after those Element martinis, they were put to good use. This experience is by no means an exclusive one. Call us to book a private tour of the show suite. We may not be pouring martinis, but we’ll still take your breath away. Reach us by email or at 306-651-0510 or visit Element's website. We'll have some great new photos there soon!